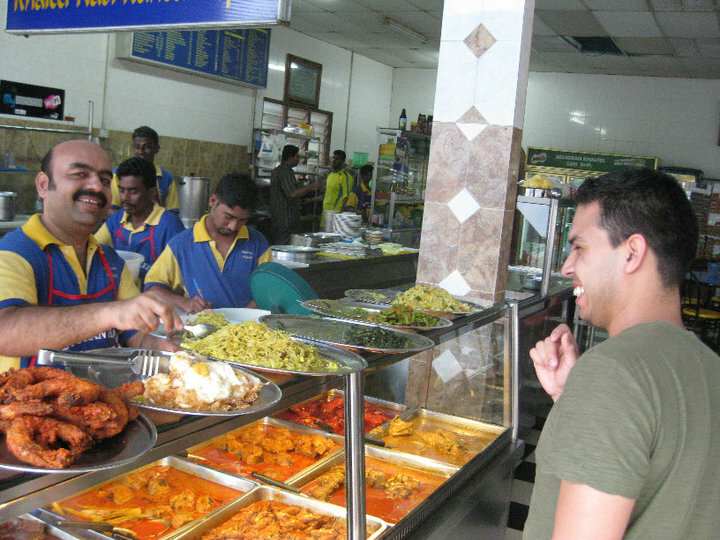 From Angel's first trip to visit my family in 2010: His first time trying Nasi Kandar I'm not in America, and I haven't been for two weeks now. I've been hinting at a trip home for a while, but never too specifically, because I don't believe in giving the internet precise information about my exact location. However, Angel is now back home in the U.S., protecting our homestead, so I felt safe to share with you that I've been on vacation for a while, and I will be for some time to come. So if you have noticed/do notice any slacking as far as blogging--that's why. This trip home has been dreamed of since I last set foot in an airplane in August 2010 and left to come back to the U.S. and get married. I love the little home Angel and I have created together, but really, many aspects of American culture still make me feel like an outsider, and deep down, I'm always longing for my home. ................................................................................................ We saved for a long time, we were finally able to figure out work and school schedules, and we bought plane tickets for this trip at the beginning of 2013. And since then, plans for this trip have been pretty much all we could talk about with my family on our weekly Skype calls. They've been emailing us lists of things they want us to buy for them (stain stick, benadryl, candy, all 3 seasons of Gilligan's Island), and I've been emailing them calenders filled to bursting with all the activities I want to accomplish during our trip, including what I wanted to do for my 22nd birthday earlier this month (eat cheesecake, visit my favorite mall, and play charades, of course!). On one Skype call, in the midst of excitedly making plans for the trip, my Mom stopped the conversation and asked me, "You do remember that life isn't comfortable here, right?" Isn't that the truth. I do remember, though after three years, it's easy to forget and to let your memories become vaguer. It's true that I tend to look at my home life through rose-colored glasses, but I do remember the uncomfortableness. I'm not shocked that my home is not nearly as convenient as America. Yes, you have to remember to bring toilet paper with you wherever you go or else expect to go without when using a public restroom (I neglected to inform Angel of this on his first trip to visit because I thought it was too delicate of a subject to speak about with my fiance--he was not very happy.) The better public restrooms provide toilet paper, but often on one communal roll in the middle of the bathroom, if you want it, you have to be bold enough to go grab some and bring it with you into the stall. Ninety degree and ninety percent humidity can sometimes make you feel as if any physical exertion is literally impossible. Even many restaurants are outdoors--as long as there are fans, in my opinion, any heat is bearable, but when the electricity goes out and even the fans don't work...now that's hot. My family lives in an apartment that is about half the size of the house that Angel and I share in America--half the size, and 4 sisters, 2 parents, 1 Angel and I have been sharing it. The floors are all tile--perfect for the hot and humid weather, but hard on feet that are used to carpet and wooden floors. My family owns one car; if you need to go somewhere when the car is already in use by someone else, it's a 15 minute downhill walk to the bus stop. That's not bad--it's the 15 minute uphill walk on the way home that will kill you. We walk much, much more here than we do in the United States. Angel and I have been walking to market to buy food in the early mornings. What does take some getting used to for me is being able to walk past the creeks that carry garbage out to the ocean and the shops where they butcher chickens without vomiting. I don't handle smells very well, I never have. However, I think my holding my breath skills have gotten a little rusty. I expect to be startled at any given moment by a cockroach running across the floor or a gecko jumping out of the kitchen cabinet I just opened. My family has always cleaned their house very diligently (mopping all the floors was a daily chore when I was growing up) but little critters are everywhere. We also see 6 foot monitor lizards on the beach...on the jungle trails we walk...sometimes on the street or in the parking lot of our apartment building. One time we saw one climbing the gate of our neighbor's house. They basically look like small dinosaurs. I'm glad we've never had one in our home. It's really not comfortable here, but it's home, and I love it, and I don't ever want to leave. 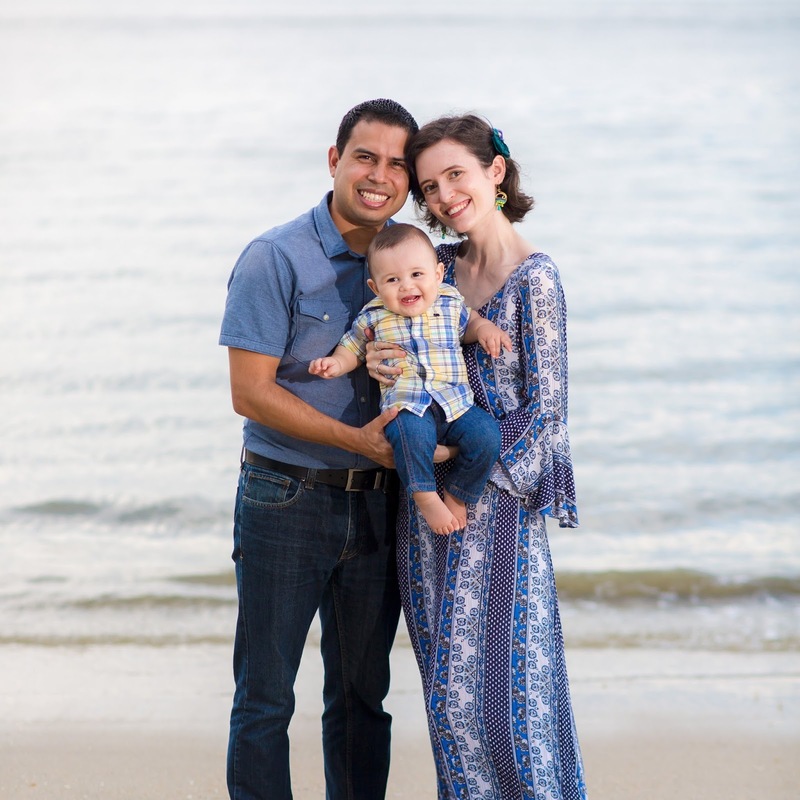 During the next few weeks while I'm still on vacation, you may expect to see several more scheduled posts that I wrote from the U.S., but if I get some time to spare, I'd love to write about our current international adventures, too. Is there anything any of you specifically want to hear about our trip to my hometown? Also, I'm sure Angel would appreciate suggestions of how to fill his free time during his weeks of wifelessness. I was going to suggest washing all the windows of the house, but then I remembered that I'm not supposed to be evil. I would love to see some pictures of the market! And of course more stories about the differences. I love hearing about your home. This is fascinating. I hope you get lots of great pictures. (Poor Angel :) So glad you get to spend time with your family! I agree with the not pinpointing your location all the time. Now that we live in the lower 48 and I know more people read my blog (or have access to it), I rarely say where we're going before we go. It just doesn't feel right. I love reading the insight you have from living in different cultures, keep it coming! I'd love to see pictures of your non-US home! =) How exciting for you to have a lovely break from the crazy work/school schedule and be with your family! I'm so glad for you. A six foot long lizard! I would be too scared to sleep. I hope you're taking tons of pictures! What a fabulous blessing that you were able to go home for a while!!! Have an amazing trip! where is it again that you are from? I would love to hear all about it! Why did your parents decide to go to Malaysia? Was it because of work? Yay for being able to go home for awhile, that's wonderful! I think reading things like this make me really appreciate the things that I have. I'm born and raised in America and the few vacations and times out of the country that I've had have always been at well off resorts. Sometimes I complain about stupid things that I realize later I really take for granted. I know I have to so easy. It's nice to be reminded to be thankful of all that I have. You better be taking lots of pictures to share with us, btw! I'd like to see pictures. Maybe you could talk about the food. i hope you have a wonderful trip home! I'm with the rest- I'd love to see photos! Oh man, this post just made me homesick for Cambodia. I've been dreaming about it lately as we preapre to leave again and it's just all making me miss it. Even the times where the electricity does go out, and it's a heat index of 120 outside. Just like you said, it's home. Wow, the toilet paper thing is crazy! We have to pay for public restrooms at most places, but they have tp in each stall. I've never heard of a communal roll. I love hearing about other cultures and experiences! This is fascinating! I'm so glad you were able to go. I know firsthand that living far from your family can be brutal.